If your small business requires freight shipping, there is a strong chance direct carriers will not offer you a viable solution. At Pak Mail, we specialize in providing these solutions using our cross-carrier and combined shipment approach. We handle the logistics and you benefit from shared lower rates, as well as an increased level of service. With 30 carrier partners and 250 shipping centers, we?ll get your business where it needs to go. 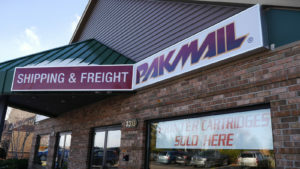 At Pak Mail, we understand the intricacies of owning and operating a small business. That?s why we have created shipping solutions tailored to fit the needs of small businesses. Choose from a variety of solutions that are designed to help improve the efficiency and profitability of your small business. To learn more about our freight shipping services, contact a small business shipping specialist today.